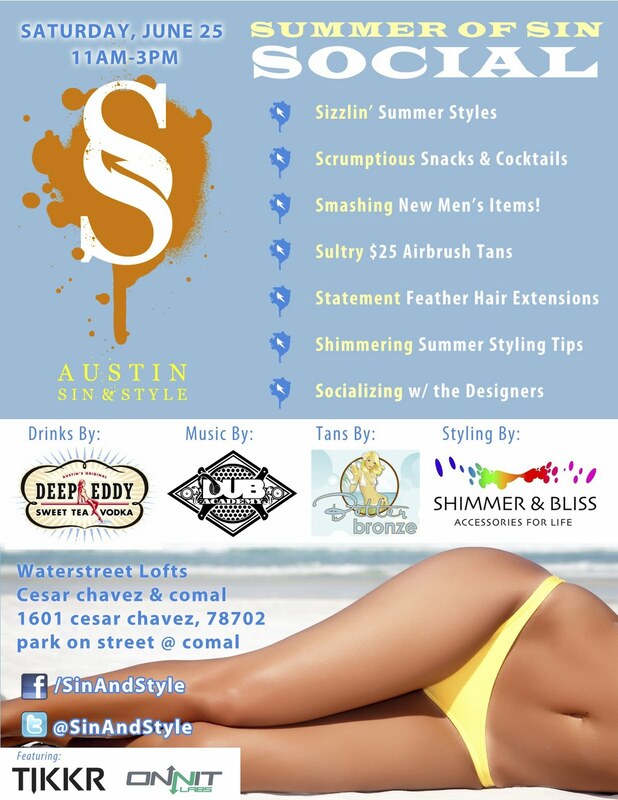 If you haven't checked out Austin's newest boutique, Sin&Style, now is the time. 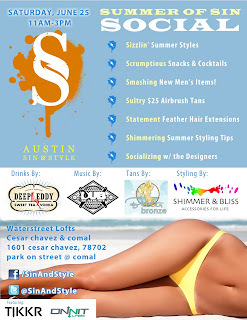 Owner Caitlyn Howe knows how to host a party and will be serving up drinks from Deep Eddy Vodka, Music by Dub Academy, Airbrush tans by Better Bronze and Styling by Shimmer and Bliss! This all-local, rocker-esque boutique is the place to be on Saturday. Swing by and show your support. Tell 'em Jewell sent you!